Commonwealth Games gold medallist Manoj Kumar secured his place in the quarter-finals of the welterweight division at the Asian Boxing Confederation (ASBC) Championships as India enjoyed a successful day in Tashkent. Kumar, who won the light welterweight gold medal on home soil at New Delhi 2010, swept aside Allah Dad Rahimi of Afghanistan 4-1 to book a spot in the last eight at the Uzbekistan Sports Complex. The 30-year-old will take on Tuvshinbat Byamba of Mongolia, who overcame home boxer Serdar Amangeldiyev with a unanimous win, in the next round tomorrow. Kumar's team-mate Shiva Thapa, World Championships bronze medallist in 2011, is also through after he proved too strong for Omurbek Malabekov of Kyrgyzstan in their lightweight bout. Thapa, silver medallist at the 2010 Youth Olympic Games, landed the majority of the clean punches in the contest and even inflicted a cut left eye on his opponent. After controlling the majority of proceedings, the Indian boxer was awarded the fight by four of the five judges, with the other opting for Malabekov. Chinese Taipei's Chu-En Lai, who ousted Thiwa Janthacumpa of Thailand, awaits for Thapa in the quarter-finals. Otgondalai Dorjnyambuu of Mongolia, the top seed in the lightweight category, progressed with ease as he claimed a unanimous win over Sri Lanka's Gayan Naiduralage. 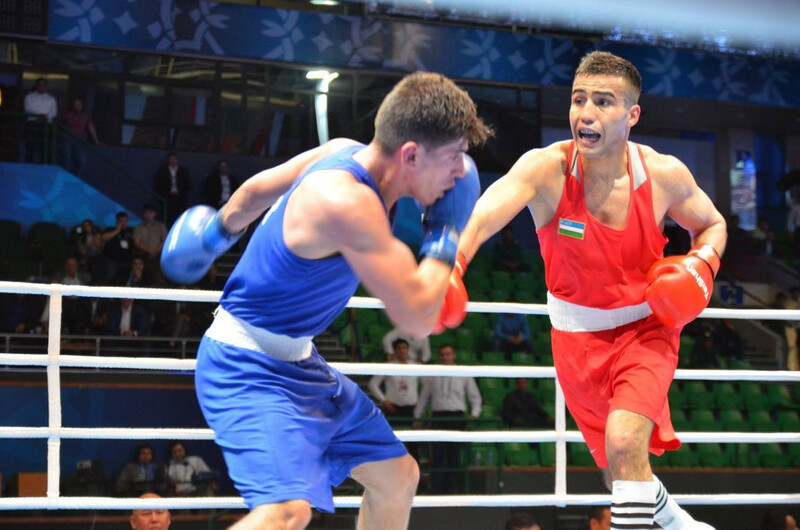 Kazakhstan's Adilet Kurmetov stands between the Mongolian boxer and a semi-final berth. Turkmenistan did have success to cheer on day three of the event in Tashkent as Nuryagdy Nuryadyyev reached the quarter-final stage of the light heavyweight division. Nuryadyyev prolonged his stay at the competition in style, dispatching Qatar's Hakan Nuraydin in unanimous fashion. Preliminary rounds, quarter-finals and semi-finals will be held over the first six days of competition before two days of finals finish off the event.